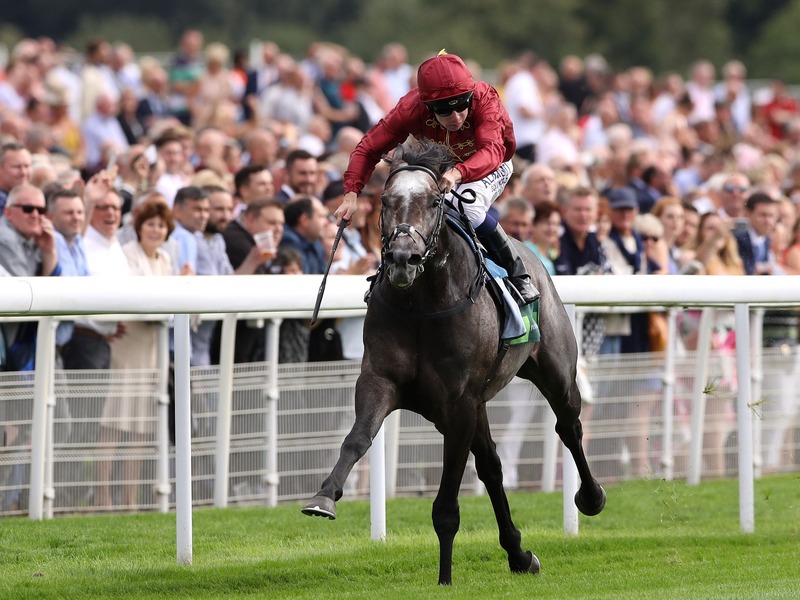 Roaring Lion will revert to a mile in Saturday’s Queen Elizabeth II Stakes at Ascot rather than contesting the Champion Stakes over 10 furlongs. The John Gosden-trained colt, who has won three Group Ones over a mile and a quarter on his last three outings, is owned by Sheikh Fahad al Thani’s Qatar Racing Ltd, a subsidiary of Qipco who sponsor Champions Day. Roaring Lion has a preference for quicker ground, which has had a bearing on the decision. Sheikh Fahad’s racing manager David Redvers said: “It’s been confirmed this morning that he’ll go for the QEII as unfortunately there’s no sign of the ground drying up to not have heavy in the description on the round course. “Obviously it’s disappointing he can’t compete in the Champion Stakes, but all along we’ve know that while we don’t have too much of a fear about him acting on soft ground, he’s got too good an action to have him flying through mud. “He seems in remarkably good fettle. The Qatar Racing team have a second string to their bow in the David Simcock-trained Lightning Spear, winner of the Sussex Stakes. Prix du Moulin winner Recoletos, who excels in soft ground, makes the trip from France while Karl Burke’s multiple Group One winner Laurens will be seeking a sixth top-level win. William Haggas’ Addeybb will finally get the chance to run again having been scuppered by fast ground since the Lockinge. Andrew Balding’s Beat The Bank is another who handles soft, along with the David O’Meara-trained Lord Glitters, a winner on this card last season, while Century Dream has progressed all year for Simon Crisford. Gabrial, Stormy Antarctic, Irish Guineas winner Romanised, Aljazzi, Hey Gaman, Happily and I Can Fly complete the list of 15.